This sweet, fresh, bohemian collection is filled with layered patterns I made both with my typical collage technique and by hand-painted watercolor. This collection is a love song to the earth and to our ancestors around the globe who were MAKERS and who lived in harmony with nature. 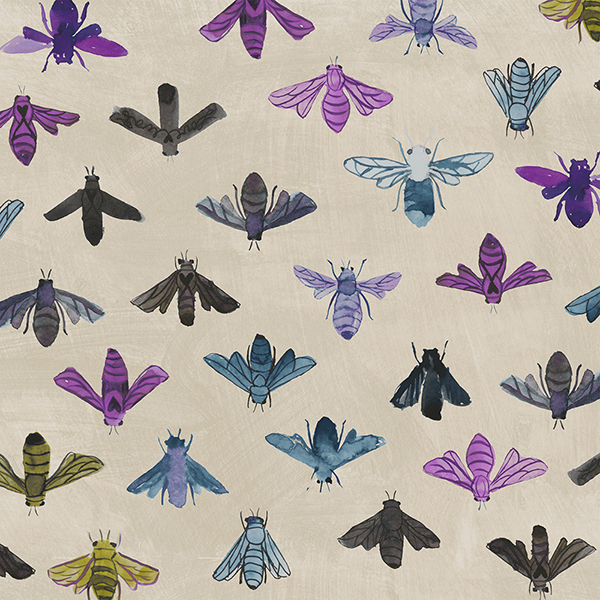 Additionally, there is a very special print of hand-painted bees in DREAMER. Bees are threatened and we can’t exist without them. The bees need us and we need them. Join Windham Fabrics and me to spread the buzz and BEE THE CHANGE! Windham Fabrics and I are proud supporters of the Xerces Society for Pollinator Conservation. Read more here about what you and your family can do to save the bees and protect the pollinators! Follow along on Facebook, Instagram and here on the blog. Ask your local quilt shop to carry Dreamer. (It ships to stores in early 2017.) In fact, email them this post so they can order it from their Windham rep today. Share the love! Tweet it, Pin it, Instagram it, and Facebook it! Share pictures of Dreamer! Tag me (@carriebloomston on Instagram) and always use the hashtags #dreamerfabric, #windhamfabrics and #carriebloomston to show us what you make! To enter the giveaway leave a comment below and make sure I have your email address! Giveaway closes on November 1, 2016. 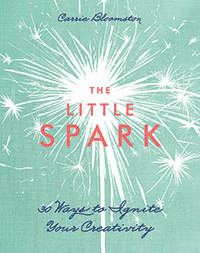 Three lucky winners will win one fat quarter bundle of Dreamer and a copy of my book, The Little Spark–30 Ways to Ignite Your Creativity. See the Dreamer Lookbook here. And please come stop by my booth at International Quilt Market in Houston October 29-31, 2016 if you’re going to be there! I’ll be in the Windham Booth #434. I can’t wait to see your creativity! Ooh! I can’t wait! I’ve always loved your collections! I will have to say. I have tons of bees in my yard. Maybe they all migrated to Hawaii! Gorgeous prints and so many nice projects in the look book! Of course I love all your old ones too. I have so many of your fabrics and I love everyone. Can not wait to see this new collection. The chance to win a bundle, almost to much to hope for. But I will anyway! Forgot to say I was so happy to see that newsprint came out in wide backing! What a beautiful and inspiring collection!!! I especially love the bee print (oh that bee quilt in the lookbook!!!) and your collage prints…so lovely. Can’t wait to see those rich colors in person. Hello Carrie! What a great way to start the day: new beautiful fabric on the horizon–I can’t wait! Oh Carrie, ANOTHER gorgeous line of fabrics!! I can’t wait to be able to buy it!!! Your lookbook is wonderful and I feel the Manitou in joy! 🙂 I’d love to win your new fabric and book! Much happiness and success to you with congratulations! Love your colors as always…. beautiful new collection- can’t wait to see it in person! love the bee print! Would love it for a baby quilt! I love your collections so much!!! This one may be my new favorite!! Wow Carrie, this is so beautiful~the colors, the designs – I’m in love. Great job! I love these designs, and am inspired by the book of such great ideas! Oh, for a chance to win. I made a quilt from a previous line of yours, one of which was the newsprint that is now 108″ for backing. Thank you. Congratulations! Looks like a beautiful and inspiring collection. Beautiful fun fabric collection… love the bees! This line looks so beautiful. I really like the bees. The colors are so nice without being too intense, which is rare without looking too pastel. Lovely work. Thanks for the awesome giveaway! That painted bee fabric is beautiful. Love! Omg! I love everything you create Carrie! You’re such an inspiration! I love that Bee print – so beautiful. Our garden has flowers for Bees from spring right through to now in late Autumn. I love this collection especially the bee print! The colors are gorgeous. I love the bees that are in my yard. The buzz around my plants and I’ve never had any trouble with them. Beautiful collection! Congratulations! Love the bees! Another gorgeous collection! You are so awesome! Save the bees! I NEED to win #dreamerfabric because I love #carriebloomston and #windhamfabrics!! The colors in the collection are beautiful. I anxiously await its release. I love the phrase “love song to the earth.” Sewing with this fabric would be sheer meditative joy. Thanks for all of your creative work. You have a beautiful soul. I have always loved your fabric but this is the tops! The name Debra means “the bee” so I naturally gravitate toward bee prints but this is above and beyond anything I have seen. Definitely can’t wait to get this! I love the bee kit so that may be my birthday present next spring! Great job! Love this fabric but the bee fabric is extra special! I have a friend who’s husband has several hives and I love hearing about them and how the bees are doing. The colors and prints are super wonderful! Beautiful collection, and love the bee fabric, bees are so important , I live beside a bee keeper and plant flowers at my home just for the bees, thanks for the great giveaway! Love this collection! Great designs! Love the fabric and the projects made from it! Thanks for this chance to win beautiful inspiration. This line of fabric is very lovely. I would like this to work with.I like the quilt. Love those fabric colors! What fun it would be to play with them! Love this collection – loved your earlier ones as well. Is there anyway to get a printed copy of the look book? I’ll see you in Houston and then again in Napa. This collection is just stunning!! Saving the bees is such an important message. We all need to be aware. I think this is my favorite collection yet!!! Will miss seeing you at Market. Have fun!! Wonderful fabric, love all the bright colors. Dreamer is a great name for these beautiful, soft colors and designs. Oh my, what gorgeous fabrics! I love the bee fabric. Each time I think you can’t create a new line that I won’t fall in love with, you prove me wrong. Congrats!!! Oh My I do love your fabrics! Your new line speaks volumes Save the bees save ourselves! Thank You Carrie for using your voice and talent for positive change instead of all the negativity we have going on today. I can’t wait for your new line to be released! Ohmygoodness ohmygoodness ohmygoodness! Looooooove the bees (and love the important reminder behind the design about caring for our precious environment!). 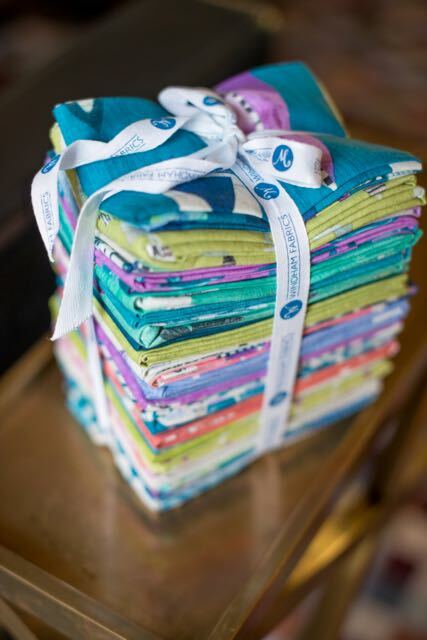 Your fabric collection is truly amazing, and it is so generous of you and Windham to share with us! Crossing my fingers and toes! I have been in a bit of creative rut lately (the unfortunate byproduct of being a totally exhausted full time working parent/single mama to three busy boys) and your book and fabric bundle might just give me the spark I need to reignite my creativity over the Christmas holidays (eek! coming too quickly!). Have a lovely day! Thanks for sharing!! Wow, beautiful fabrics and talented friends are a good combination — such gorgeous projects! I have got to get some of that bee print for one of my quilty BFFs who has recently started bee keeping. She will love it! Beautiful collection! Love all the inspiration in your Look Book. I love, love your new fabric line!! Nice bright and cheerfull collection. Carrie, you are an inspiration. These fabrics make my heart sing with joy. Love this collection…..colors are beautiful ,! Pretty collection. I love the pollinators. Cute fabrics. I would like to make the skirt. What a lovely new collection!! Congrats!! Oh my goodness, what a fabulous giveaway, gorgeous fabric, and wonderful book! Thanks for the chance to win. Love your collection, and the bee print is awesome! An awesome fabric collection! Love the color and the prints! The photos you’ve shown on this post using the Dreamer collection are gorgeous! Seeing the fabric inspires the dreams to come true with the use of scissors and thread…and a machine or two! It is a lovely collection and I’d love to dream with it too! Congrats on what will be a very successful line of fabric, Carrie! Beautiful work and amazing prints. Beautiful fabric line and so many great Projects. Lots of Inspiration and I love to see all the upcoming Projects! Beautiful fabric – and love your Bee the change support! So pretty! Congrats on your new line. I love your work, blog and IG feed. I was introduced to your work a few years ago when my mom bought me two fat quarters of this aw some newsprint and yellow and newsprint and blue fat quarters. I made awesome project tote bags. Love them!!! Love all of your fabric lines, but I think I have a new favorite–beautiful colors and design, definitely from the heart! ❤️Feeling so inspired by the Lookbook! Congratulations on a stunning new collection. I think your feathers are fabulous. Also, I want to wade in that pool too. Such beautiful fabric, and I love that you’re working with Xerces. Such a great organization (said as a bee biologist myself). Beautiful fabric! I especially love the bees. What a beautiful fabric collection. I love the bees. What a gorgeous collection! 😍😍😍 I especially love the bees 🐝 Thanks so much for the chance to win. Gorgeous collection!! My favourites are especially Jenny’s quilt and the Tote Bag on IG (sorry I can’t remember the maker). Would love to win this wonderful collection! What a great looking fabric and the photos are wonderful. I love the photo with the horse above and the log cabin that John made. Love your new collection. The colors are awesome! I have only just discovered you! This fabric range looks so beautiful, now I have to head into your archives to learn about past fabric and your book. Wonderful! Thanks. Another lovely collection. I can’t wait to see it in the flesh – so to speak. I have a sister we call “B” and I am making her a quilt at the moment. I’d love to incorporate your lovely bees in it. Will be buying it in store if I miss out here. Nice work. Your fabric and philosophy are amazing. I saw it on the Quilt Dad blog today and am so impressed by the beauty of the simple quilt he created that I came here to find out more about it. I love this fabric line! Thanks for the giveaway! LOVE the colors in this line… So good! And love the outfit Karen made you !!! Can’t wait to see and touch this fabric line! Looks gorgeous. Love the bees. We have 6 hives now and harvested our first honey this year. Thank you for the chance to win. What a beautiful collection, i love bee prints and have a small collection and cant wait to add yours to it! Love the new line. Thanks for the opportunity to enter to win. The fabric looks lovely and the book looks interesting, too! ACK! I LOVE all these fabrics but think, like most, the Bees are my fave, as you could probably guess by my email address! I also am drooling over the Feathers & those Solids! Oh My!! I also love the idea of Saving The Bees!! Thank You SEW much for this giveaway. I know MY fingers are crossed! Good Luck to ALL!! So pretty! The colors are amazing. 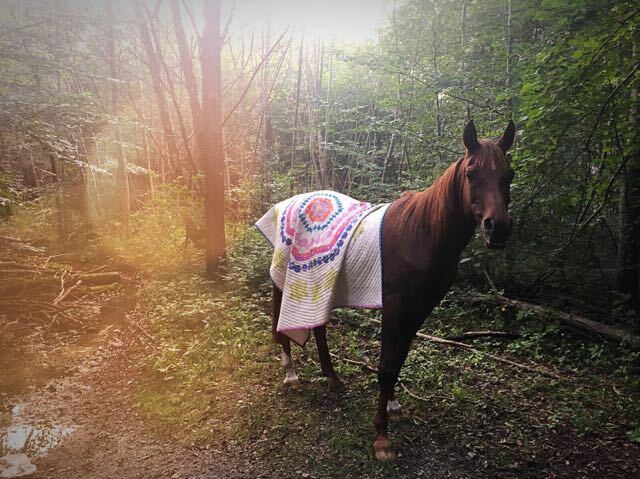 I think I need to get a horse to take quilt pictures on, lol. What a wonderful collection! I think the bees are my favorite. Beautiful collection. I love the bee print. Beautiful looking fabric! thanks for the chance to win a bundle. Beautiful collection of fabrics and projects! I love the photo of the quilt on the horse! Thank you for the giveaway! Great seeing what everybody made with your collection. Love the collection! Yay for the bees! I have a pollinator rescue program in my classroom. None get smooshed. They get caught and released if they end up in our room. It’s so wonderful how you are supporting the bees with your new beautiful fabric line! I love (and have) ALL your fabric lines but this one is super special with the bees highlighted. Thank you for making the world a bit better. Oh I love this new collection! And will b sure and search it out! Thanks for giving us opportunity to win it. I love the bees so so much. thank you for the absolutely gorgeous giveaway! I love your designs and these look better than ever so I would love to win that bundle! Thanks for the chance! Ooh, I can’t wait for this collection! Love the new designs…great colors..can’t wIt to try them out..
Wow! Another winning fabric collection. The colors are stunning (again!) and the bohemian aesthetic is so warm and approachable. Thanks! I’m in love with bees. I can’t wait to make something with them. 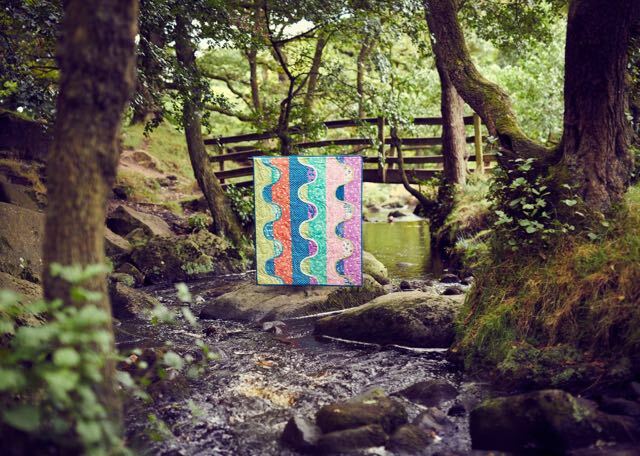 What lovely fabrics and beautiful quilts! Thank you for sharing them. I’d love to win a sample of your fabrics. I’m a quilter and a master gardener and I can see myself sewing fabulous gifts for my gardener friends in the lovely bee fabrics! My neighbor and I share a monarch garden on the boarder of our properties and it attracts children, pollinators and adults alike! This might be your finest collection yet – love every single piece of it! And our family so appreciates your understanding and support of our bee population … all of us around the world need to be taking care of these precious little jewels. So glad you have a new collection! Beautiful fabrics, beautiful together. Thanks for the possibility of winning a bundle. I had a chance to see this fabulous collection on a couple of other blogs, too – love the bees – LOVE them!! Thx for the chance to win, and I AM signing up for a pre-order! Dreamer is just as beautiful as your previous collections, love the bee fabric and the textured solids are great. Thanks for the chance to win. Love the fabric and the samples made with it, the colors are lovely and the bees are super. Looking forward to seeing Dreamer in the stores. I’m working with Story and Paint right now. Such beautiful colors! What a beautiful combination of colors. Love it. It has been amazing to sew with your fabric lines and follow your journey on Instagram…so much inspiration! 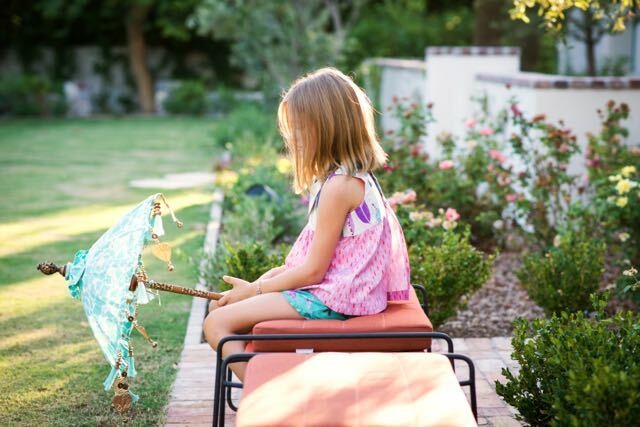 Congrats on another completely adorable and awesome fabric line! I love this and can’t wait to get my hands on some. I cherish the fabric I have of yours, but I use it too! It must be so fun to create your artwork in such a way that you can then see it being used to create other works of art! Thank you so much for caring and sharing so much of yourself! 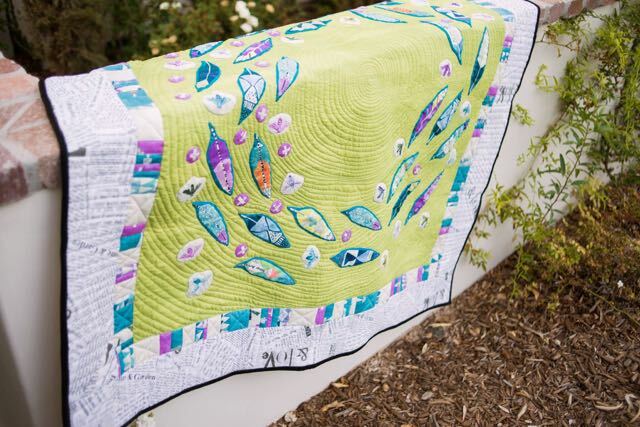 Your quilty friends created some really inspirational and wonderful projects for your new collection. The fabrics are great, the projects are great, a win all around. Beautiful fabric – I love the bees! Great collection Carrie, I wish there were more purple/fuschia like yours in the fabric world! Would love to win a bundle AND your book! Congrats! Love this collection, Carrie. It’s very inspiring like the rest of your work!! Beautiful, beautiful collection! Love the bees! All the projects are all lovely. As usual for me, the colours make the project, and these colours are beautiful! The Dreamer collection is wonderful. I love the bees fabric! I love what everyone did with your fabric and the bees are just what I have been looking for to mork on a quilt for a friend who is a bee keeper. Wish I could be at quilt market! I just love this collection. The colors are so beautiful. tia curtis pointed me this way. I love her quilt and your fabrics! I am beyond thrilled about this gorgeous collection and the message that it carries! Dreamer is a beautiful collection with a wonderful choice of colours and mix of prints. Love Tia Curtis’s quilt made with Dreamer! The Dreamer hand-painted bees on now on my must-have list. I’m looking forward to seeing your fabrics soon,. I have always loved bee-themed fabric and your colorful bees are a fabulous inspiration! As an earthling, I am grateful for your efforts on their behalf. Beautiful fabric! What gorgeous quilts it will make! It was an absolute joy meeting you at Market. Great color combination.Would make a quilt for granddaughter who’s graduateing in May! Dreamer is a beautiful fabric line and I just love the tribute to the bees!! It is crucial that we stabilize the bee population! Thanks for all you are doing to bring their plight to attention!! Wonderful collection. Can’t wait to make a quilt for my daughter who has bee hives! I am seriously thinking of buying this collection by the bolt. Guess I need a business license! Fabulous fabric I can’t wait to get four fq packs and start challenging my quilting sisters! Ill start asking my Portland, OR quilt shops about the line. This is an absolutely beautiful collection of fabrics! !